HERD IMMUNITY VS. VIRAL SHEDDING: WHO’S INFECTING WHOM? | "Global Possibilities"
Home » Health » HERD IMMUNITY VS. VIRAL SHEDDING: WHO’S INFECTING WHOM? Herd immunity, or community immunity as it is also known, is one of the main arguments used by those advocating vaccination to persuade other people to take vaccines. Herd immunity, so it is claimed, provides indirect protection to the unvaccinated. How? Here’s how the reasoning goes: if enough people get vaccinated, when a contagious disease hits a community, it spreads less quickly than if the majority were not vaccinated, since they are now protected. Thus, those unvaccinated few living among the vaccinated many can now enjoy some protection because the disease is finding it harder to spread and infect new individuals. Interestingly enough, in recent times a concept that is essentially the opposite of herd immunity – i.e. viral shedding – has been in the news. You see, people using the argument of herd immunity generally claim that the unvaccinated help speed the spread of a disease, even encompassing those who are vaccinated. In other words, they claim that the unvaccinated can infect the vaccinated. The phenomenon of viral shedding, on the other hand, is showing that those who get vaccines get the virus in their body – even if it’s weak or attenuated – and the virus then sheds, can become contagious and can start spreading. In other words, the vaccinated can infect the unvaccinated. So which is the more true concept: herd immunity or viral shedding? Who’s infecting whom? 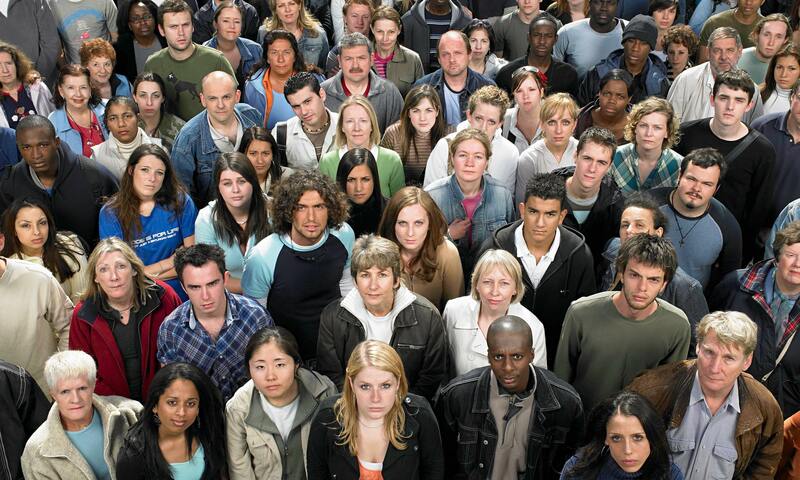 Herd immunity can be acquired through vaccination just as it can be acquired naturally (i.e. when a significant number of people in a community contract and overcome a disease, and then have natural antibodies against it). Take the first assumption of vaccine efficacy. The big flaw with the herd immunity argument is that, by its very definition, it undermines the idea that vaccines actually work. If vaccines really were effective at protecting you against a disease, why would you worry that if those around got it, you would be more at risk or more in danger? If you’re protected, you’re protected, right? If the vaccine provides you genuine immunity to a disease, as Big Pharma, the CDC and the Western medical establishment like to claim, then it logically follows that it should be of no consequence to your health if you are surrounded by 1 or 100 contagious people. 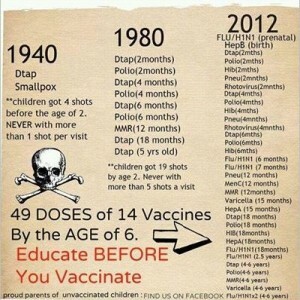 The only way around this is if you believe that vaccines are effective yet contraindicated for some people, such as infants, pregnant women or the elderly. So you vaccinate yourself but not your baby or your grandmother, and you worry for their health because there is not enough herd immunity in your community. 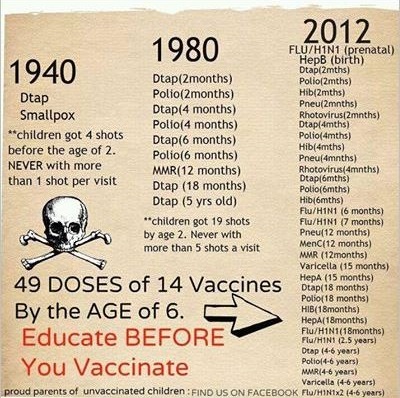 Given Big Pharma’s propensity to ratchet up the vaccine schedule on the entire population, there are not many people exempt anymore; take a look at this chart on the left or at National Vaccine Information Center to see how the schedule has changed over the last few decades for kids. However, even if you are in this (rare) scenario, there are still problems with the idea of herd immunity. Take the second assumption of supposed lifelong immunity. If herd immunity is really so important to protect a community, that would presuppose that the vaccinated could fight off the disease – whenever it struck. So what happens after 5 years go by after you get your shot? 10 years? 20? 30? Even if you go and get your booster shots regularly, vaccine-induced immunity still wears off after time. Take the third assumption regarding the vaccinated being able to transmit disease. As reported by Dr. Joseph Mercola in 2013, an FDA study concluded that those vaccinated against pertussis or whopping cough could still carry and transmit the disease, even they got no symptoms. In this case you become an “asymptomatic carrier“. This finding could bust a hole wide open in the herd immunity argument. If the vaccinated can carry a disease, they are not adding to a robust and protected herd. Lastly, take the fourth assumption of vaccine-induced immunity vs. natural immunity. Clearly, there is a world of difference between artificial vaccine-induced immunity, and naturally-acquired immunity, attained through contracting and successfully fighting off a disease. The human immune system is vastly more complex and sophisticated than we understand, and is made up of specific and non-specific parts. A vaccine does not closely resemble natural immunity in many ways, including only engendering a specific response, having a completely different point of entry, not conferring lifelong immunity, etc. Besides, immunity is far more mysterious than just a measure of antibody titers. Herd immunity is a smokescreen for what’s really going on. It’s an inversion of the truth. While Big Pharma and the medical establishment are pointing the finger at the unvaccinated, it is actually the vaccinated who are contributing to the spread of disease. The real issue is viral shedding. 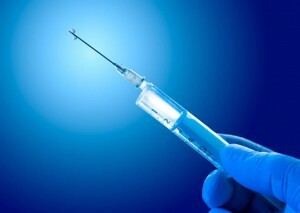 Viral vaccines are vaccines containing live viruses, even if they are weak or attenuated strains. These live viruses shed for varying amounts of time in the body fluids of a vaccinated individual – and can be transmitted to others. You can absolutely catch the virus (or bacterium) from someone who has just been vaccinated against that disease. Not only that, but viral shedding from vaccines is leading to viral and bacterial mutations, helping to create a phenomenon of new and dangerous strains of disease which can evade treatment by becoming accustomed to whatever drugs get thrown at them. We are already under numerous environmental assaults, including excessive radiation and GMOs, which are threatening to mutate our DNA. An article in Mother Jones reported that toxins can actually act upon your DNA and change it, at the epigenetic level. Remember, in addition to containing viruses that can shed, vaccines are full of toxic adjuvants (including aborted fetal tissue) which are provably carcinogenic (like the cancer-causing monkey virus SV-40) or at the very least highly harmful. We know the “scientific evidence” has being infiltrated by industry-funded studies and that the peer-review process has been hijacked. A vaccine’s ability to lead to viral shedding, group infection, genetic mutation of you and genetic mutation of your future offspring turns the false idea of vaccine-induced herd immunity on its head. The question was asked: who is infecting whom? The evidence would strongly suggest that it is the vaccines and the vaccinated who are spreading the disease. Is the Pope Being Positioned as the Head of a Planned One World Religion? Soul-Catching Net – Are We “Recycled” at Death to Remain in the Matrix? We Have the Peak Oil Myth – Now Peak Water Too? Makia Freeman is the editor of The Freedom Articles and senior researcher at ToolsForFreedom.com, writing on many aspects of truth and freedom, from exposing aspects of the global conspiracy to suggesting solutions for how humanity can create a new system of peace and abundance. An avid promoter of freedom, truth and health, his mission is to expose the truth, raise awareness about the conspiracy to enslave mankind and to help create a critical mass of people to stand up against it – and thus restore peace and freedom to the world.